Besides an all-new Surface Studio and a more powerful Surface Book i7 that offers almost 16 hours of battery back-up, Microsoft also unveiled Windows 10 Creators update coming early next year that feature Paint 3D, a 3D-capturing mobile app that lets users scan objects and render them as 3D images, and integration with the 3D content sharing “community,” Remix 3D. 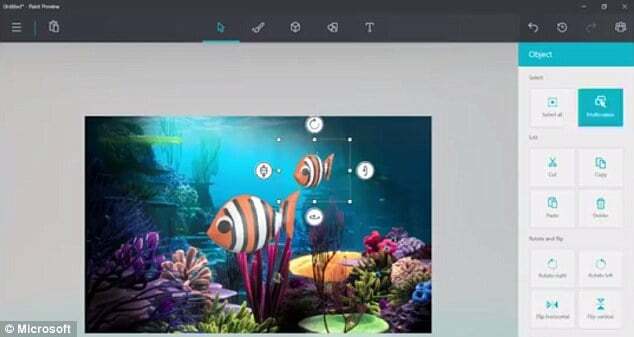 The legendary Paint app gets a makeover to enable users to combine 3D creations with 2D elements like stickers, or even selfies. The app works as well with a stylus as with touch. It will also be possible to scan items from real life with a device like an HP Elite x3, or, eventually, your phone. The company has also introduced a new online community Remix3D.com, connecting creators and creations around the world. “Remix 3D will enable all-new scenarios for creators, including the ability for Minecraft players to share their 3-D creations broadly with the Remix 3D community,” reads the official blog post. Minecraft is one of the most popular titles of the $99.6 billion gaming industry, which is why Microsoft bought the game and its developer Mojang in 2014 for $2.5 billion. Minecraft is famous for user-generated content, and now its players can make their virtual creations real. Notably, Microsoft is also partnering with Trimble to bring the 3-D modeling program Sketchup — and its millions of creators and creations from 3D Warehouse — to Remix3D.com. Also, to further enhance user creativity, the company will also be adding support for 3-D in Word, Excel and PowerPoint over the next year, which means with the Windows 10 Creators Update, Office features will work seamlessly with 3-D models.